From north Beacon Hill to Seward Park. The Divas have another new listing in one of their favorite Seattle places. So much so that you might catch them walking the Diva Dogs. As they also live around here! 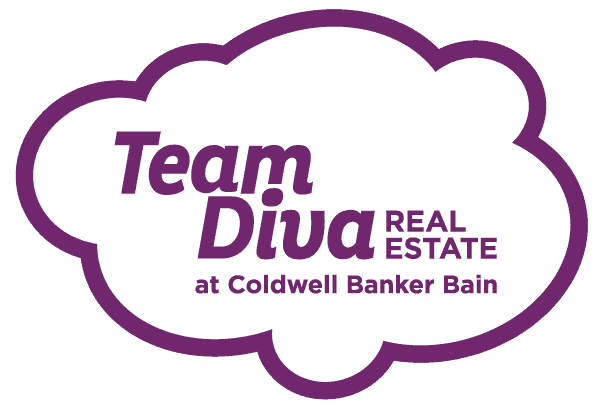 Diva Kim takes you on a tour of our newest listing below. 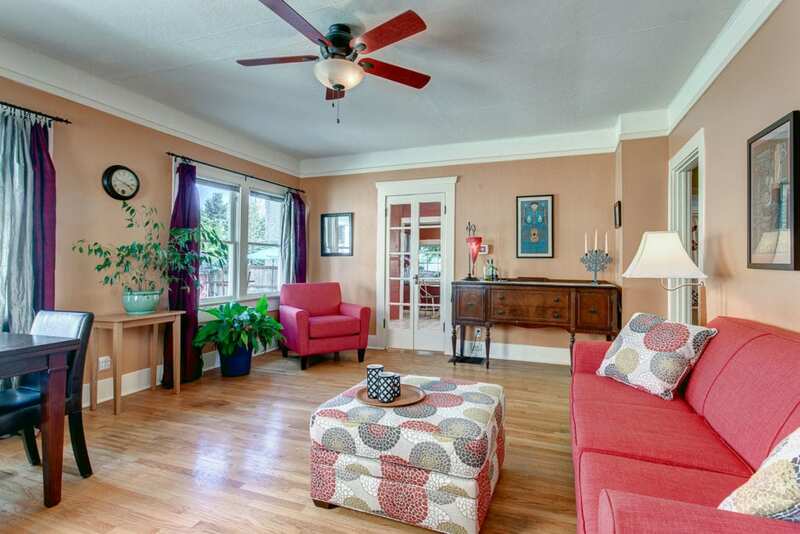 A charming home with flexibility, history and some fun attributes that we love and hope you do too. The most compelling feature of this Seward Park Sanctuary is the abundance of windows on the main floor. Huge windows in every room. Whether you are hanging in the living area, cooking in the roomy kitchen or enjoying a New York Times bestseller in the master bedroom reading nook – there is natural light aplenty to satisfy even the most Vitamin D, obsessed individuals. It is truly impossible to not feel cheery when you are chilling in this home. This home may look demure from the outside but inside there is enough space to address any and all of your lifestyle needs. The living room is grand enough for dining, relaxing and entertaining, and the kitchen is no slouch on the space front either. 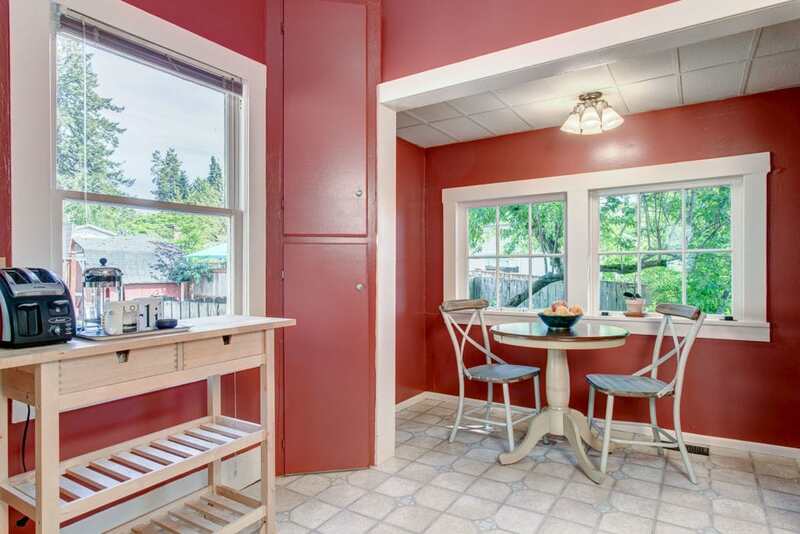 There is a quaint eating nook, tons of cabinets and room to let your remodeling dreams run wild. Downstairs there are two more bonus rooms for guests, TV watching or office space, and a mini rec room. Plus, another bath and even a hidden storage area for all your extra stuff. Future Airbnb, MIL, game room? Whatever your heart desires, you can make it work in this home. We do love to go on about our fav master bedrooms at Team Diva and this one is no different. This may not be your typical master suite with a fancy bath and big dressing room. 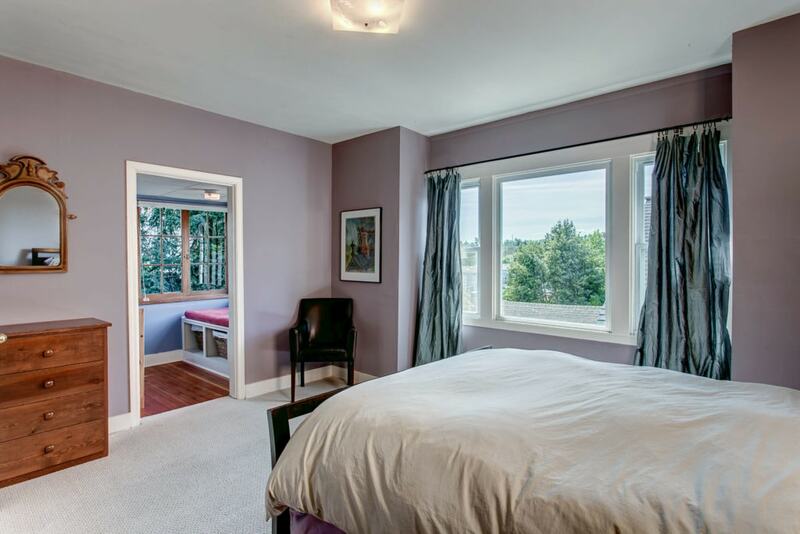 But what it does have is a nice walk-in closet, tons of light and its own sweet reading nook. Talk about your own little sanctuary. This cozy little space has a comfy window bench with built-in storage and huge west-facing corner windows. An ideal spot to escape with a good book and your favorite beverage, or take a sunny afternoon cat nap. And, if reading nooks aren’t your gig – this spot could easily become an office, a dressing room or a cute private water closet. Bottom line, this master bedroom is full of charm, character, and potential. 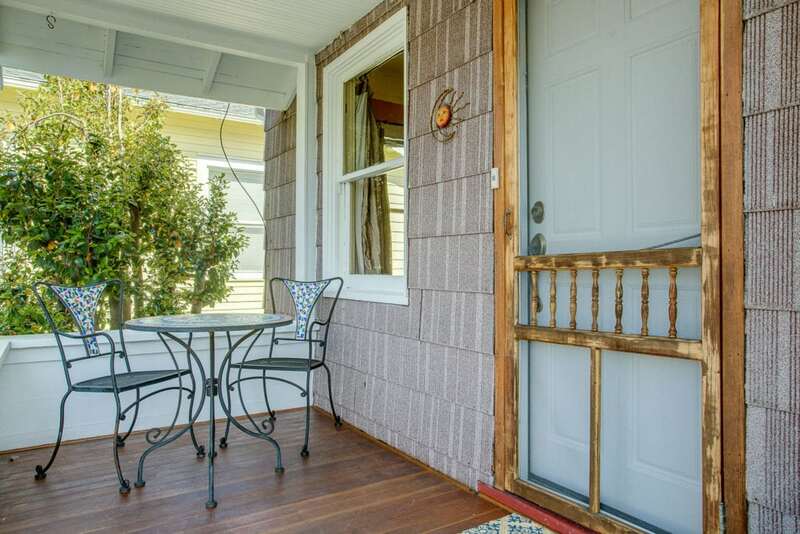 I love front porches. And the truly great one are few and far between in this city. I’d put this one in the “mighty fine” category. First, it’s big enough for more than just you and your cat to enjoy. There is room for a small table and a couple of chairs, or an old fashioned swing if that’s more your speed. What is more relaxing than hanging out on your front porch with friends on a hot summer eve and watching the storms roll in? Or grab a cup of coffee and cuddle up with your honey on that porch swing on a lazy Sunday morning. A perfect covered porch is such a joy to have and this one is sure to satisfy. Seward Park is not just the namesake for this neighborhood but the crown jewel of parkland in South Seattle. 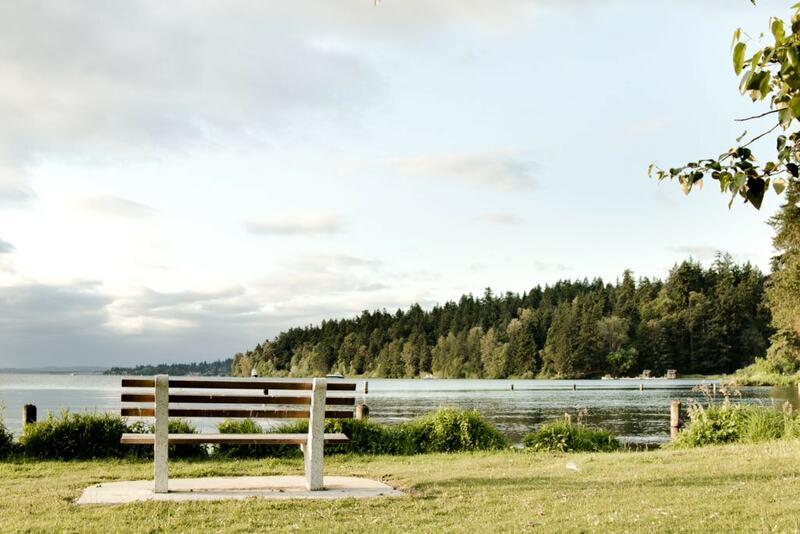 A center point for many of the neighborhoods in the area, Seward Park offers views, old growth forest trails, Audubon center, picnic areas, community events, swimming, and boating activities, and tennis courts. All this less than a mile away. Seward Park, the neighborhood, is also a mecca for outdoorsy folks, with bikers and hikers out and about, rain or shine. Not to mention, it’s one of Seattle’s most diverse, friendly and liberal neighborhoods!